Just as we start to feel spring is in the air in Alaska, the Aurora Borealis light up the sky and Alaskans get spring fever! Spring is a great time to visit Alaska, with our long sunny days offering more hours of daylight to play in than anywhere else in the country, starting around March 1st. Just ask folks who live in Anchorage...when spring arrives one of the first things on their mind is heading to Alaska for a little spring fling! 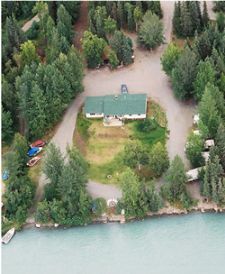 The Aurora Borealis, or Northern Lights as they're commonly called, are most active in the spring and fall in these northern reaches, and you can often see them from the Kenai Peninsula, particularly from areas like Turnagain Pass, Summit Lake, Cooper Landing, and Sterling--all just short drives from Soldotna. If you are really focused on seeing this brilliant natural fireworks display in the sky, we can book you on a trip to the Fairbanks area, to one of the local hot spring destinations where you can enjoy the Aurora while bathing in a hot spring. Spring affords visitors the luxury of enjoying a mix of seasons. From March to May you can enjoy long days of playing in the spring snow in the mountains, nordic & alpine skiing, snowmobiling, snowshoeing, Aurora chasing, and more, while at the same time you can already fish for salmon and halibut in the ocean out of Homer or Seward. 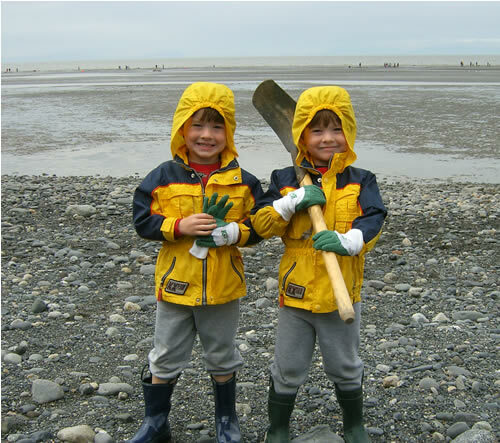 If you're lucky and the weather cooperates, you can also catch the first clam tides of the season and dig the tasty giant Alaskan Razor Clams at their prime in late April & early May. And, in early spring before the snow starts to break down, you can enjoy a dog sledding tour with a local Iditarod mushing family--truly a memory not to be forgotten--or take in the Iditarod race start in Anchorage or the restart in Willow, Alaska. With long days of sunshine, the absence of the summer crowds (and MOSQUITOS!! 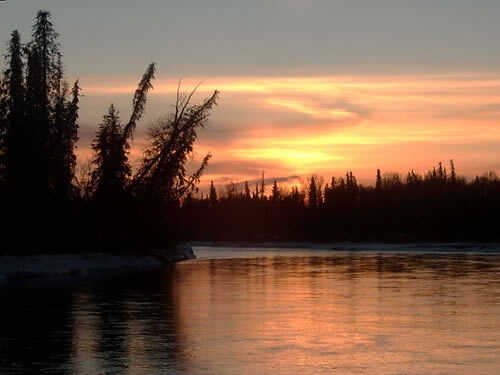 ), and outdoor activities as varied as your imagination, spring splendor in Alaska is an experience of a lifetime. Awesome Aurora--"Sleep by Day & Lights by Night!" Spring Sun & Snow--"Bright Days & Northern Nights!" Spring Fever--"Break out of Winter!" *Available March~May. Please review our Cancellation Policy prior to booking. **All Package prices are per person, based on double occupancy. Children 10~17 can join for 1/2 price. Children under 10 are free, except for fishing charters which are not recommended for children under 10 except by special arrangement at a reduced fee. 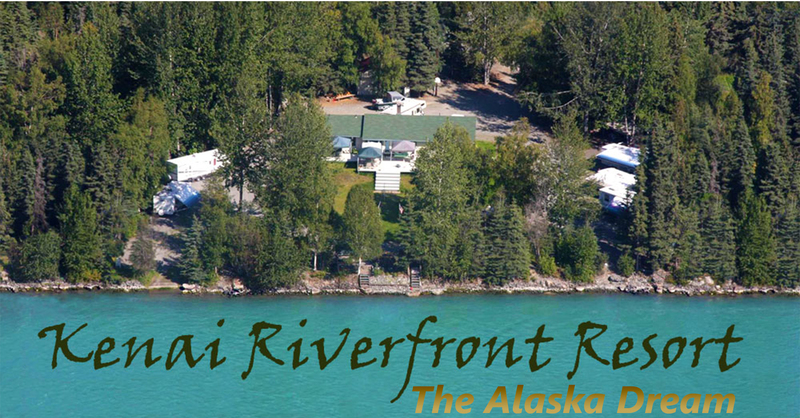 Ground transportation to/from Kenai Riverfront and to/from activities is not included. A rental car is required for transportation and must be booked seperately as public transportation in Alaska is extremely limited. ***Additional Meals, gratuities, fish processing, sales tax and other services not included.